Every real estate professional knows that vacant homes usually sit on the market longer because most clients can’t picture themselves in a property with bare walls and empty floors. By using Virtual Staging technology, you can help your clients see the full potential of a listing online before they visit it in person. In today’s marketplace, it’s more important than ever to present your online listings in their best possible light. 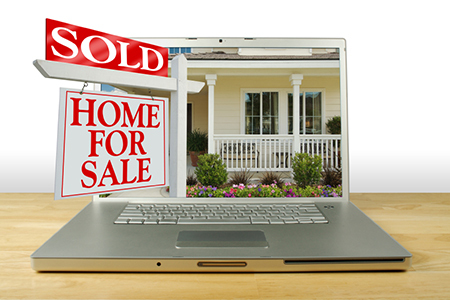 According to the National Association of Realtors, 90% of buyers use the Internet to search for a home, and 97% find the photographs to be the most useful features on brokers’ sites. With Virtual Staging, you can quickly and inexpensively stage an empty property online to help attract more potential buyers without the time and trouble of traditional staging. Virtual Staging is technology that allows you to take digital photos of empty rooms and insert furniture, rugs and furnishings into the images. This helps clients visualize how a potential home might look and helps them connect with the property emotionally. Virtual Staging also allows you to change the color of the walls, upgrade kitchen appliances and alter flooring to show how the home might look when renovated. Numerous companies specialize in Virtual Staging. Once you’ve chosen one and have created an account, you simply download digital photos of your vacant listing to the company’s website and their designers will digitally add couches, tables, beds, artwork and other furnishings based on your direction, to bring the home to life. The company then emails the files back to you so you can post the photos on your site or on the MLS. Most of the large real estate firms are using Virtual Staging already, so if you want to stay competitive in the field, you need to get on the bandwagon and embrace it. Virtual staging costs far less than traditional home staging. The latter runs, on average, between $2,000 to $3,000 to set up the property and anywhere from $500 to $1,000 to pay for additional rental fees each month. The average cost to digitally stage real estate is between $200 and $400, depending on the company and the number of photos. By using Virtual Staging, you can make more of your properties stand out online in a crowded and competitive marketplace. Based on the growing popularity of the technology among real estate professionals, it would appear that both buyers and sellers have embraced Virtual Staging. Just make sure that you clearly disclose on your company’s site and the MLS listing site that the property has been Virtually Staged. You don’t want a potential buyer to visit a vacant home and be caught by surprise. For more information on American Home Shield Home Warranties, visit ahs.com/realestate. Or to find your local AHS Account Executive visit here.